Joshua M. Baskin recently received advanced level training, from the American Association of Premier DUI Attorneys, on how to use fatigue and drowsiness to fight DUI cases. Joshua received training on the how drivers arrested and prosecuted for being under the influence of alcohol and/or CNS Depressants can easily be misdiagnosed and wrongfully arrested for DUI when they were simply fatigued or drowsy at the time of the incident. The information in this training was provided by Adam Pollack. Mr. Pollack is an AAPDA Executive Member of the Association. Mr. Pollack’s office is located in Orlando, FL and his website is http://orl-law.com/. Mr. Baskin earned his Juris Doctorate from Whittier Law School with a Certificate in International and Comparative law. While pursuing his legal degree Mr. Baskin was a valuable extern with two top judges obtaining an instrumental exposure to the justice system. 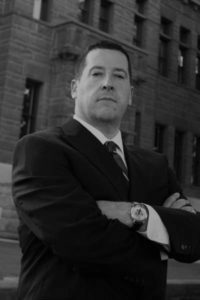 It was during this time and his exposure to the criminal and family law matters that his passion for the law took shape. Upon graduating, Mr. Baskin launched his legal career in the Inland Empire focusing on criminal and family law matters. Mr. Baskin expanded his reach into Orange and Los Angeles Counties covering a multitude of matters utilizing his extensive background in addressing the intricacies of DUI, Drug and all types of criminal cases, as well as vast exposure to divorce, custody issues, paternity and establishing parental rights, prenuptial and post-nuptial agreements, as well as restraining orders, guardianships and modifications of orders and all other facets of the family law arena. Mr. Baskin’s experience has given him invaluable insight into the criminal and family law justice system and created relationships that provide an incredible asset in any criminal defense or family law case. Mr. Baskin takes advantage of these connections throughout his practice in advocating for the best resolutions and results for his clients. Mr. Baskin is a zealous advocate for his clients working tirelessly for their desires to achieve the best resolutions and results possible. Mr. Baskin believes in the value of focused teamwork to solve client problems, and provides dedication, commitment and service to all matters and clients he serves.